I’d never thought about the scent of flowers that way before. Growing up, my parents grew dozens of different flowers in the yard. The faintest smell of honeysuckle or lily still brings me back to warm summer days surrounded by family. And yet, for others, those same comforting aromas are reminders of one’s own mortality. In Aroostook County, there’s hardly a cumulus in the summer skies let alone a cloud of death hanging low over the ground. But that doesn’t at all diminish the fact that loss is pervasive in these idyllic parts. 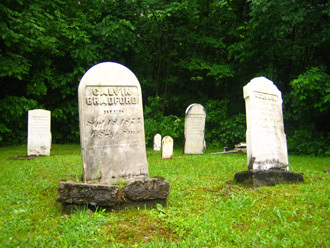 A drive through even the smallest of towns reveals a host of landmarks, including countless headstones situated within local cemeteries. Some burial grounds, such as the Ste. 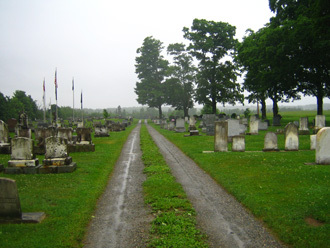 Luce Cemetery in Frenchville, are located in churchyards adjacent to large religious edifices. Others, like Madawaska’s Saint Thomas Aquinas Cemetery, are nestled in the middle of sizable parishes. And others still are sprinkled along the byways and farms that populate Northern Maine’s landscape. Eagle-eyed drivers can catch a glimpse of several along the Aroostook Scenic Highway between Sherman and Ashland. One ancient graveyard, unnamed and barely recognizable amidst the lush forest growth, is ironically situated on a terrible curve in the road. 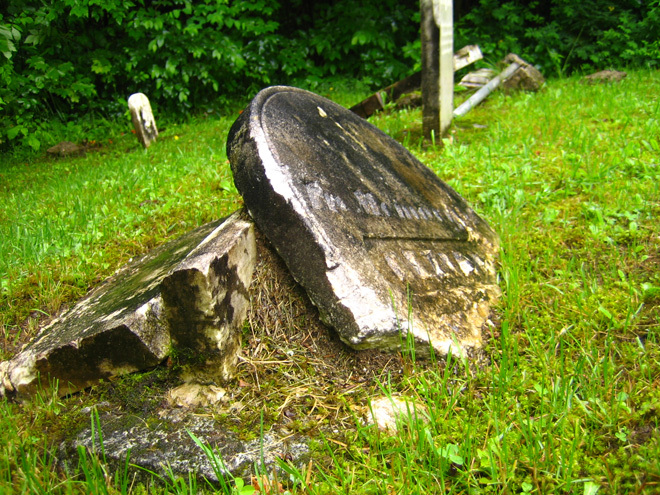 On many trips, particularly during stormy weather or late-night drives through moose-infested territory, the sight of headstones struggling through the tall grasses has made me reflect quite sternly on both mortality and posted speed limits. 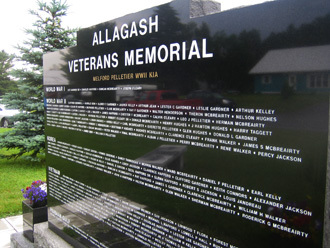 Memorial parks aside, certain customs of death in Aroostook County are foreign to those inhabiting warmer areas. For instance, dense snowpack and frozen soil make winter burials in these parts impossible. Many cemeteries that are still in use combat this logistical difficulty by using the harsh elements to their advantage. When a person passes away during the winter months, indoor remembrance services and funerals take place immediately, often with a written note that interment will follow in the spring. Then, after the services are complete, caskets are carefully placed in a specially designed shed located in the cemetery to await formal burial. Once the ground thaws in April or May, multiple plots are dug and back-to-back interments take place. In a way, it’s morbidly comforting; the pause between death and burial gives mourners a longer-paced period in which to grieve knowing that loved ones are not yet committed to the earth. On the flip side, though, the process is drawn out and liable to initiate a second cycle of grief. The system isn’t perfect, but it suits the conditions. As with so many sensitive customs, in Aroostook County the afterlife is always treated with utmost respect and a sense of community. Funeral homes and parlors are well-managed by local family members and friends, ensuring that arrangements are handled with dignity and kindness. The pervasive emphasis on extended family ensures that no one in Northern Maine, particularly the Saint John Valley, grieves alone. This support network is a blessing; in a land where it’s all too easy to slip into isolation, the unending comfort of close friends is a striking contrast to the stark landscape. A few weeks ago, on our way home from a southerly trip, David and I pulled over at a cemetery in Patten on Route 11. Graves near the road dated back to the 1800s; however, the further back we ventured, the newer the headstones became. It was fascinating; in order to make that final journey into the afterlife, you need to physically pass by all those who have departed long before you. Whether it was intended or not, the arrangement demonstrated just how strong a role ancestry of a bygone era continues to play in the modern day. As we walked between the neat rows of headstones, a steady cool rain fell. Looking out across the long field, surrounded by silent farms and distant views of the fog-enshrouded mountains, it hit me: to be at peace in such a place is to truly know the meaning of eternal tranquility. Those living in Aroostook County already realize this, and they’re wise to quietly cherish it even long after they slip away.